The bride is coming!! The bride is coming! Oh and don't forget the groom! (Tee hee) Your wedding day is a celebration that happens once a lifetime. Certainly you've always had your dream ceremony in mind. Now that the big day is finally here and the budget is staring all up in your face, what can you eliminate and what can you splurge on? Are those favors extremely necessary? Do you need ALL of the little ones at your reception? QTNA (FYI: I'm "aged" and I just found out what that meant and I shall use it in excess). 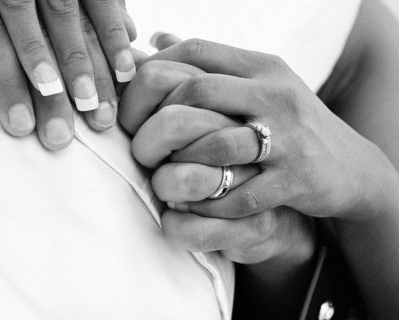 According to recent findings, 10% of couples pay for their own ceremony. Some families chip in 50% and even will pay 100% of the costs. Geez! Wedding ceremonies are averaging 25,000 entire American dollars as of 2017. TWENTY-FIVE THOUSAND! So, yeah...that's NOT CHEAP! If a couple does have the beauty of having the parents paying for the wedding, that's such a relief and such a blessing! Even if your family is spending money out of their pockets for your wedding day, you will still have to be mindful of the amount that they've given you to spend. When couples foot the bill themselves, whether in partial or in totality, they tend to be a bit more cautious. Hey, it's more fun spending someone else's money, right? So what should you splurge on? Well, that is up to the bride and groom! Some couples are more traditional and choose to splurge on a beautiful tiered wedding cake, while others are more out of the box and choose to spend money on the wedding after party and the all you can eat breakfast bar. That's the beauty of your ceremony...IT'S ALL YOURS! There is no right or wrong. Here are some splurge-worthy wedding ceremony and reception traditions that are a MUST in our book. Definitely a must splurge. Photographs are passed down from generation to generation and are timeless as well as priceless. We can't help but to oooo and ahhh over our favorite moments from past generations. You'll definitely want to give our future generations the same opportunity. The photographer(s) capturing your special day should have an amazing portfolio and wonderful reviews. Whether you are having an elopement ceremony or a 300 guest wedding, the cost will definitely be worth it when you see those beautiful photos! Oh you know that was going to be on the list!! A videographer is definitely a necessity. Most couples don't deem it necessary when it should be a requirement. Think about it. The people who weren't able to attend your ceremony should be able to at least view it. On those days where you wish to hear your spouse say your unique vows to them, you can just push play or click a button. Most importantly, when your grandchildren want see and hear how your big day was, they will have that luxury. After the ceremony, most couples regret not hiring a videographer. It's a once in a lifetime opportunity. Your father making that speech and your grandmother shimmying in her beautiful dress are priceless. I know, I know. You only wear it once, blah blah blah! It's your WEDDING DRESS! If it makes you feel better, wear it around the house on your anniversary. Yes I plan to do this myself! Your wedding dress definitely should not take up the bulk of your budget, however if you wish to spend more than others think you should on your dress, no explaining is necessary. If there's a time to be selfish this is it! You will be wearing this dress for an entire day. It should be something that you are completely in love with. Just like you did with your spouse: choose wisely and do not settle! We have all been to a wonderful wedding and we look forward to the party...the reception! You should carefully select your DJ and/or band. Are both necessary? No. But if you choose one or both, please be very selective. Your guests will be celebrating your new life together through song. The soundtrack of your first day as a wedded couple should not be snooze-worthy. Also make sure you meet up and set expectations early. If your grandmother will be there, you may want to ensure edited or censored songs are played. Also, please make sure you are free to dance in your dress! It's your big day so the partying will be centralized around the special couple! This is where the importance of lighting, the overall decor and the flowers come in. All of these combined equal a major splurge fest! Flowers and lighting are essential to creating the perfect experience that you've always wanted. Whether you want a dimly lit reception or an outside beach fest, your decor, no matter the venue, will simply enhance the beauty of the day. Think of how beautiful your photos and videos will be with the proper lighting and floral arrangements and beautiful golden lanterns! We all have special skills. Organizing and planning your own wedding, especially the day of, is a definite no no! Hiring a day of coordinator is always best and is definitely something that every couple should consider into their budget. Your wedding day should be trouble and stress free (well as much as possible!). A day of coordinator can ensure that your day goes smoothly and will carry out your day according to the prior approved plan. Planning your own wedding is definitely work. The day of the wedding is the big victory lap! The couple should be able to have the luxury of enjoying all of their guests and dancing to a few songs without worry. Overall, there are pieces of your wedding that you should splurge on and some things that you can probably do without and won't even miss. Regardless of your final decision, always remember that this is your big day. The desire of how your vision is played out is completely up to you and will be carried out with plenty of vendor assistance, family and friends!